Mr. Ernest Clarence Wilkinson Q.C (1929-2012), more familiarly known as EC., founded the Firm of Wilkinson, Wilkinson & Wilkinson in 1980. Mr. Wilkinson served in the Grenada Public Service from 1953 to 1980 in various governmental departments and was Registrar of Grenada, Chief Registrar of the Windward and Leeward Islands and Registrar of the Court of Appeal. Mr. Wilkinson obtained an LL.B (Hons.) in 1964 from Gray’s Inn at London in the United Kingdom. 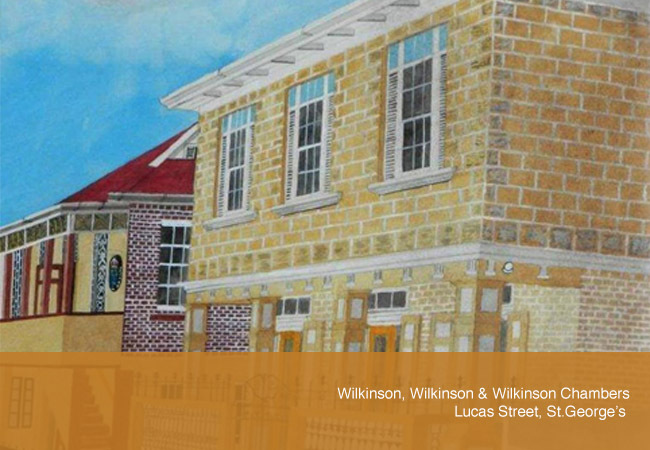 Mr. Wilkinson was born in Barbados and moved to Grenada in 1951, where he proceeded to live, work, marry and raise a family of five children, three of whom are qualified lawyers. Mr. Ernest Wilkinson established practice as a Sole Practitioner in 1980 called Ernest C. Wilkinson Chambers. His practice grew as he developed a reputation for being efficient, rendering sound legal advice and representation. He operated as a Sole Practitioner until 1988. In 1988 his fourth child, Ms. Margaret Valerie Lucy-Ann Wilkinson, joined Mr. Wilkinson, after she graduated from the Faculty of Law of the University of the West Indies (Cave Hill Campus) in 1986 with an LL.B (Hons.) and from the Hugh Wooding Law School in Trinidad and Tobago in 1988 with the Legal Education Certificate. The Firm then became Wilkinson & Wilkinson. The year 1993 saw Mr. Wilkinson’s first child Ms. Rosalyn Elizabeth Wilkinson joining the Firm. Ms. Rosalyn Elizabeth Wilkinson for many years lived in Canada and worked with the Bank of Nova Scotia. She returned to the Caribbean in 1988 to pursue her Legal Education. She graduated from the Faculty of Law of the University of the West Indies (Cave Hill Campus) in 1991 with an LL.B (Hons.) and from the Hugh Wooding Law School in Trinidad and Tobago in 1993 with the Legal Education Certificate. The Firm then became Wilkinson, Wilkinson & Wilkinson. In 1995, Ms. Rosalyn Elizabeth Wilkinson pursued and duly acquired a Master’s Degree in Environmental Law from the University of Aberdeen in Scotland. In July 2009, Ms. Rosalyn Elizabeth Wilkinson was appointed a Puisne Judge of the High Court of the Organisation of the Eastern Caribbean States (OECS) Supreme Court, and in October 2009 she was assigned to sit on the Bench in St. Lucia, at which time she retired from the Firm. The year 2004 saw Mr. Wilkinson’s fifth child Ms. Shireen Jeanette Patricia Wilkinson return to Grenada and join the Firm. After many years of living and working in Barbados, she commenced her legal education and graduated from the Faculty of Law of the University of the West Indies (Cave Hill Campus) in 2002 with an LL.B (First Class Hons.) and from the Hugh Wooding Law School in Trinidad in 2004 with the Legal Education Certificate. In 2005, Ms. Shireen Wilkinson pursued and acquired a Master’s Degree in Consumer Protection Law at the University of Toronto in Toronto, Canada. The Firm, for many years, held the distinction of being the only firm in Grenada, where there was a father-and-daughters team of Attorneys. The firm prides itself on its independence from party politics within the tri-island State of Grenada. The firm is associated with regional and international law firms. The Firm is also the only Member Firm in Grenada of the State Capital Group, headquartered in Washington DC in the United States of America. While each member firm of this prestigious organization operates independently, each is required to provide excellent service and to adhere to Uniform Service Standards.